I did a post a few weeks ago about how I was trying to have less stuff in my life. You know what I’m talking about, that clutter that seems to rapidly accumulate when you aren’t paying attention and suddenly leaves you unable to close your storage or sit at your desk. Everyone I know does this to some extent and if you’re anything like me, the clutter can start to feel overwhelming. Unless you are a makeup artist or blogger there really is no need to have 30 mascaras open at once. By the time you try them each three times they’ll all have started to dry up and will soon be out of date. I’m not bashing on people who love makeup. I love playing with a new product as much as the next person and you shouldn’t throw away a good product for the sake of minimalism, however you don’t need to keep every product you buy. Sometimes a product is s dud. Maybe its not a color you like, maybe the formula doesn’t work with your skin, maybe its just honest to goodness a crap product! You shouldn’t be guilted into keeping a product you’ll never use just because you spent money on it. I think a better alternative is donating makeup to other people who would use and appreciate it. In the world of economics a piece of makeup you have already paid for is known as a sunk cost, once it is incurred it cannot be recovered. According to my wise old microeconomics professor – sunk costs should have no bearing on decision making for the future. If you buy something – you bought it, your further thoughts should not be affected by that. What you should weigh, is the enjoyment and benefits you will get from keeping the product as opposed to the benefits of giving it away or selling it. If the scale tips in favor of the latter, do your friends, your community and yourself a favor and find a new home for it. It is always a great option to give gently used products to your friends and family. However, if you are interested in donating makeup (Yes, this is a thing! )I have compiled a few resources so you can help out those in need and not just fill up a landfill! Dress For Success – Helps women get their skills and wardrobes updated and get themselves into positions in professional fields. They accept unopened products, time to break out all those samples you’ve never actually used! 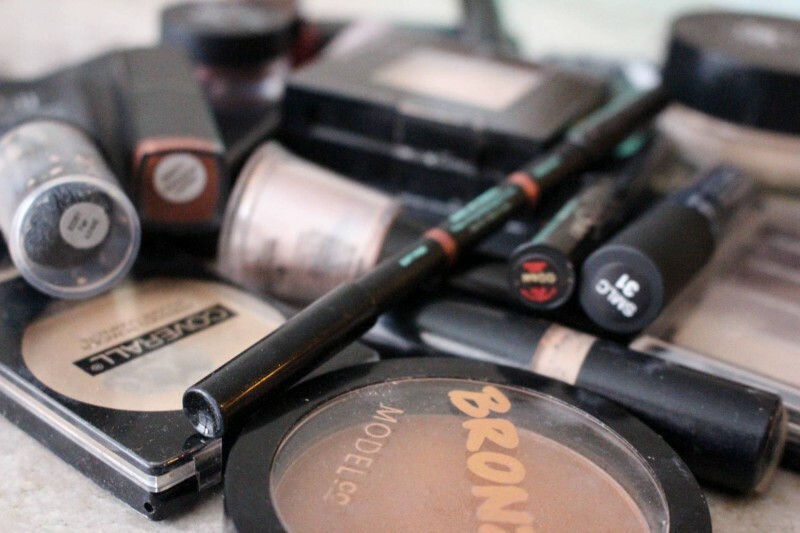 Local Women’s shelters often accept makeup donations as long as they are gently used and sanitized. This means cutting off the top of lipsticks, sharpening eyeliners and wiping then down with sterile wipes. 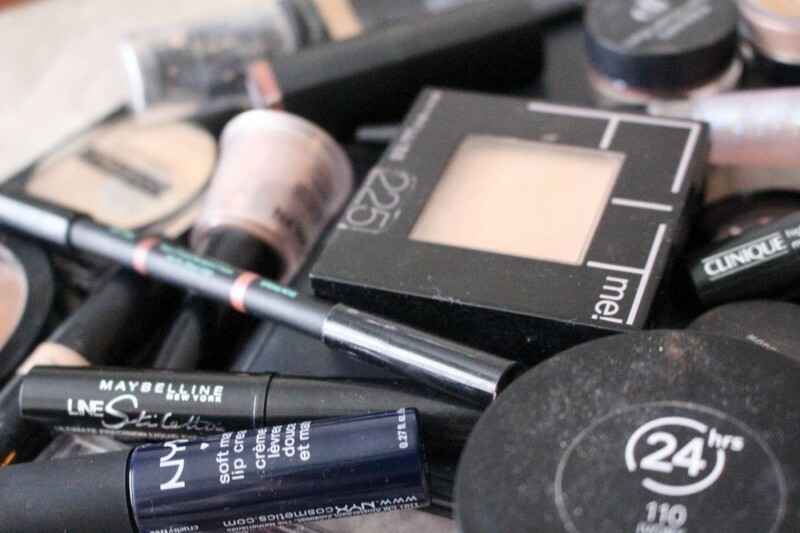 Products that come in tubes are usually OK but toss products in pots that you’ve reached into. Powder shadows are almost all safe! 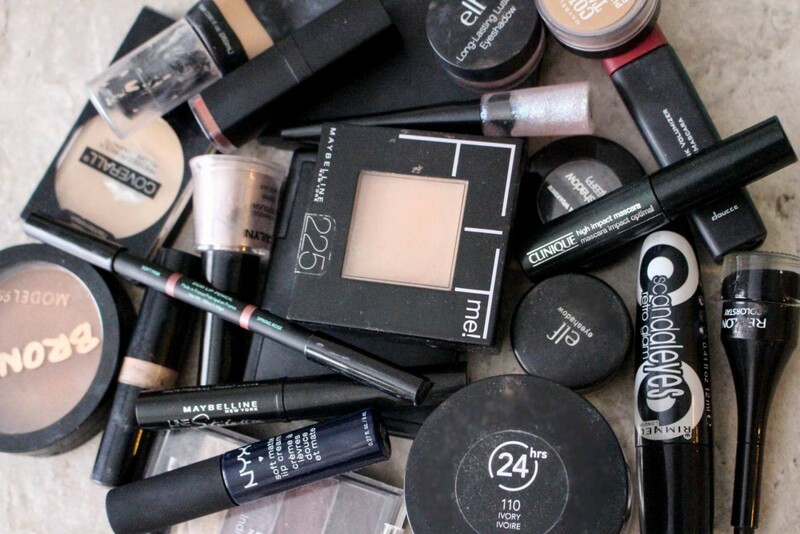 I know you have a bin full of single shadows at the back of your cupboard! Some shelters only take unopened products so call to check first! Remember to be kind and polite – never get upset if someone can’t take your donation. Most organizations that collect formal dresses for high-school students also take makeup donations. Talk to your local group to find out specifics. There are so many organizations that serve their local area. Ask around and do a little googling to find something close to you. It really isn’t difficult for you and it does make a difference in the lives of others. So there you have it – an economics lesson and a way to do good! If you have any resources for donating makeup I hope you will leave them in the comments below! Thank you for reading! 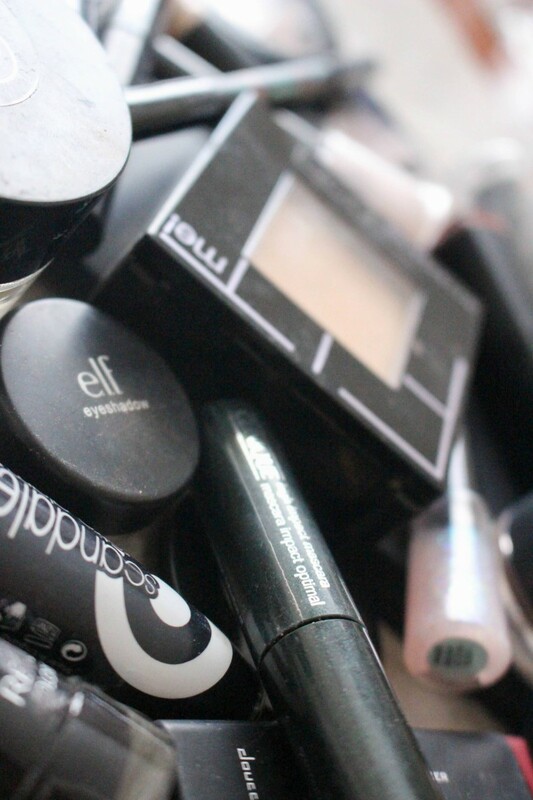 All of the photos in this post are of makeup I have decluttered from my collection. I am in the process of sorting out what can be donated and sanitizing everything so that I can make a stop at the local shelter. I would never have thought to try and donate makeup, thank you so much for opening my eyes. Next time I have a clear out I’ll be sure to see if there is anything I can donate instead of discarding. I had heard bits about it but I wanted to really look into it and commit to it! We are so lucky to be able to have enough makeup to have a declutter so I think sharing the luck is important to share the good fortune!